Hello everyone. We’re on the countdown to New Zealand Babywearing Week (10 – 16 October 2011) and are looking forward to celebrating with you. Over the next couple of months we’ll be offering some fantastic giveaways. The next giveaway will be drawn once we reach 500 page members over on the New Zealand Babywearing Week Facebook page. Our 500 liker giveaway sponsor is The Natural Parent Magazine. 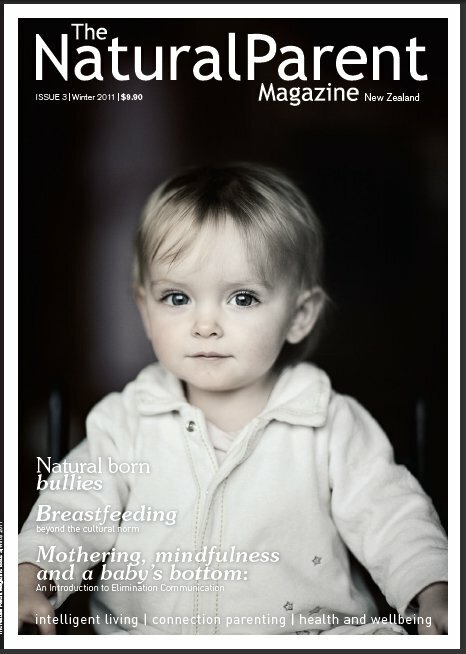 One lucky ‘New Zealand Babywearing Week Facebook page’ member will be randomly drawn to win a year’s subscription to The Natural Parent Magazine. There will also be a second draw for a copy of the latest issue of The Natural Parent Magazine. (Open to NZ residents only). The Natural Parent Magazine is a brilliant new source of up-to-date and relevant information for all parents and caregivers. Drawing inspiration from a dynamic range of experts in the frontline of their fields, the editorial content is an intelligent look at being a parent today, moving away from typical “10 step guide” style mags and towards a more thoughtful read. It is practical, smart and enlightened. Over the last decade there has been a distinct shift towards a more eco conscious society – a society that wants to cherish its environment and its children. The Natural Parent Magazine will capture the essence of this generation of parents, in its forward thinking look at the world of parenting today. Attachment parenting promotes the emotional and physical development of children in the most natural way possible. The Natural Parent creates an insight into attachment based parenting; taking evidence based material and translating this into a clear and accessible format. To be in with a chance to win, join us over on the New Zealand Babywearing Week Facebook page. Then tag yourself in an image of The Natural Parent Magazine in the 500 Giveaway album – that’s it! Simple, easy. Winners will be drawn when we reach our goal of 500 likers on the New Zealand Babywearing Week Facebook page. This entry was posted in Giveaways, New Zealand Babywearing Week and tagged Babywearing nz, giveaway, New Zealand Babywearing Week, NZ Babywearing Week, Snuggle Bug, The Natural Parent Magazine. Bookmark the permalink.